A rich natural and cultural history is found along a 1.2-mile trail in eighty acres of prairie. Trail signs guide visitors on trails through both short and tall grass prairies teeming with cactus, blossoming flowers and rare plants. 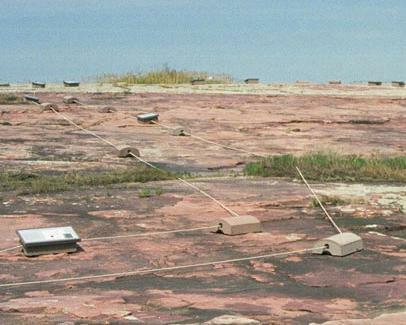 A roped trail will take visitors across the rock face. This path allows the visitors to view the carvings while not walking on them. The trail from the Visitor Center to the end of the rock face is .4 of a mile. 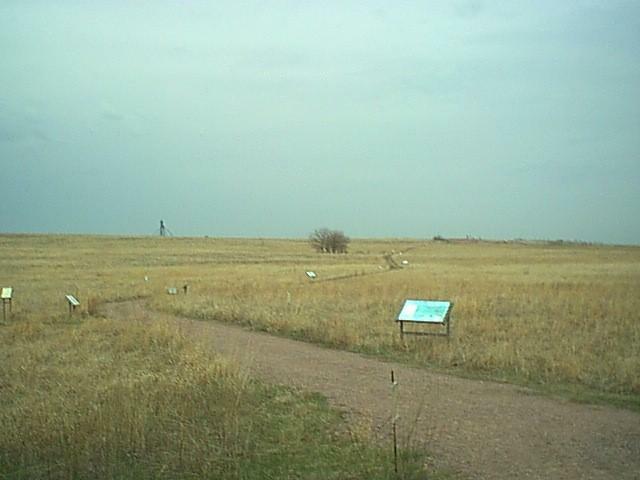 This trail continues another .8 of a mile through the prairie and returns to the Visitor Center. Visitors enjoy a walk through almost two billion years of history recorded on the rocks at Jeffers Petroglyphs. On the rock face you will find the fossilized ripples of a beach along a shallow sea turned to pink quartzite 1.6 billion years ago. Along this ancient shore you will find the mud flats of a river baked by a long ago sun. A mile high glacier left deep scars as it ground the rock outcropping on its way south fourteen thousand years ago. For the last 9000 years, the prairie has dominated this area. With the prairie came the buffalo, feeding on the nutritious grasses. The buffalo have their marks by polishing the edges of the rocks when rubbing away the dense winter hair in preparation for the hot summer. Beginning 5000 years ago, Native Americans carved symbols in the rock. Finally, from 1875 to 1968 explorers and settlers etched their names here. 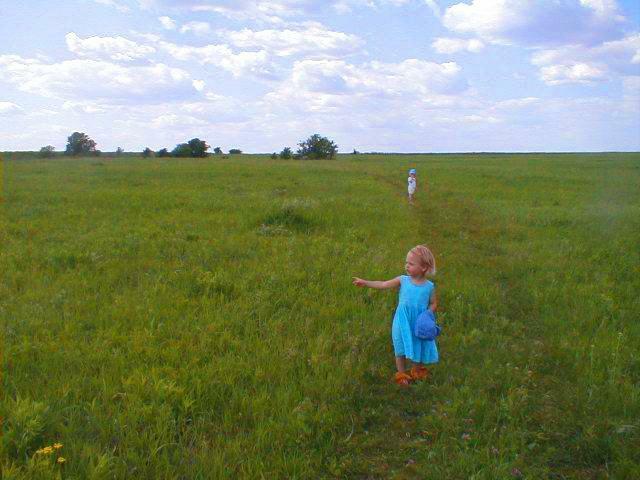 On the prairie trail along with several varieties of flowers and grasses, you will find songbirds, the burrows of pocket gophers and other wild life.